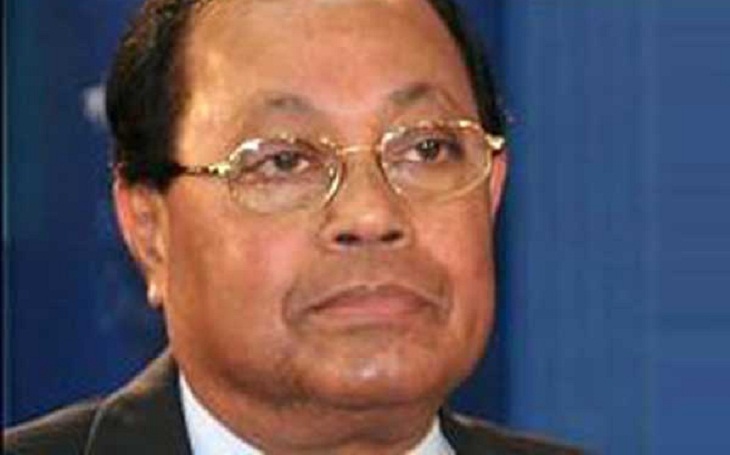 Senior BNP leader Moudud Ahmed was taken to Singapore on Tuesday for better treatment as he has been suffering from acute clod-related diseases, reports UNB. Moudud along with his wife Hasna Moudud left Hazrat Shahjalal International Airport for Singapore by a Biman Bangladesh Airlines flight around 10am, his chamber junior Ehsanur Rahman told UNB. He said the BNP leader reached Singapore around 12:30pm and straight went to Mount Elizabeth Hospital there. Doctors at the hospital removed some cough from his lungs, infected with cold. Ehsan said Moudud has been suffering from cold-related diseases for the few days. He was admitted to Apollo Hospital in the city on Saturday. As his condition was not improving, doctors at the hospital advised him to go to Singapore for better treatment, he added. Ehsan said the BNP leader is likely to be moved to another hospital if his condition does not improve.